Patna : A recent notice by Bihar board states that students should enter exam centre without shoes, socks. It is likely to be an attempt of the education board to check malpractice in the exam hall. So now, the students will have to remove their socks, shoes when they sit for exam in this chilled winter morning. The class 12 board exam under BSEB will begin from February. The Bihar Board class 12 exam will start from February 6, while the class 10 exam will be conducted from February 21 to 28, 2019. Also, students will only be allowed to enter the examination centres 10 minutes before the examinations, as per the official. “There will be CCTV surveillance in every examination centres, and the videography will be done in examination centres which are sensitive. 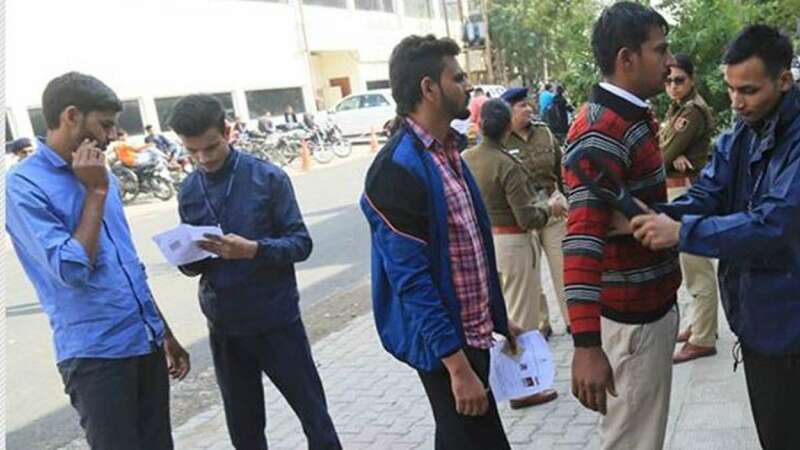 The directions have been given to all the district officials and police stations to book a person according to law who is involved in cheating,” mentioned PRO. In 2019 board exam in Bihar, close to 13.15 lakh students will appear for the Intermediate (Class 12) examinations and 16.5 lakh students for Matric (Class 10) examinations. The admit card for class 10 and class 12 exam has been circulated to the schools. The students may collect the admit card from the respective schools and be ready for the exam.